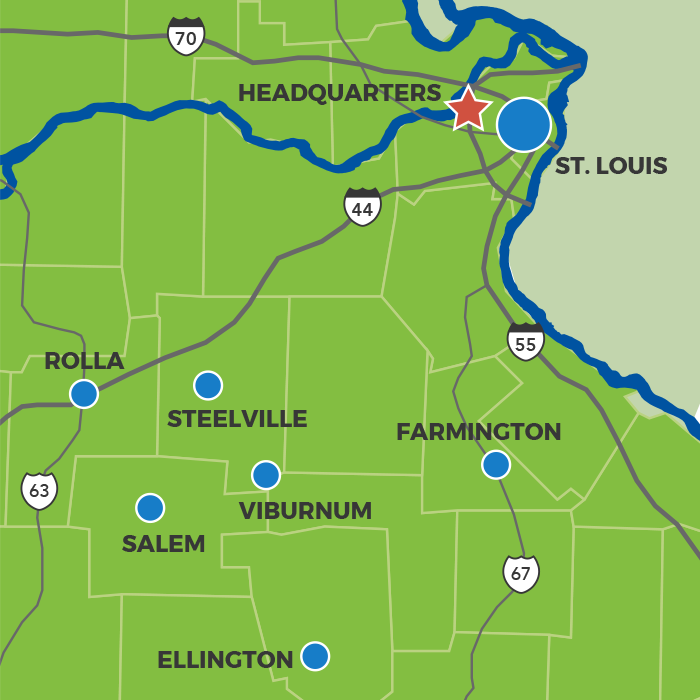 Abundant mineral deposits attracted early settlers and miners to communities in Jefferson, St. Francois and Washington counties that make up Missouri’s Old Lead Belt. In this region, lead occurs naturally, often at the surface, which is why there has been a history of lead mining in this area for more than 300 years. Doe Run and our predecessors began operating here more than 150 years ago, and we remain a part of the community today. Mining in Missouri created jobs and established communities throughout the state. Lead, zinc and other minerals mined in the Old Lead Belt drove the economy in this region for centuries. Today, our focus is to revitalize the historic mine sites for new purposes. Known for its mineral rich land, the Old Lead Belt area also is rich in history and family-friendly fun. Tourists come from miles around to explore the Missouri Mines State Historic Site or scuba dive in an underwater mine site at Bonne Terre Mine, one of USA Today’s Best Underwater Attractions in the United States. View Our Community Resource Guide. Doe Run has remediated hundreds of acres of land once home to mining or metal operations. Where possible, the remediation is done in a manner so that the land be used for new economic or recreation opportunities. Built on land donated by Doe Run’s predecessor, St. Joe State Park is a popular Missouri state park that includes ATV trails, swimming and camping. The Park Hills Industrial Park was also a remediated and repurposed site and today is home to the Glass Operations of Piramal Glass and corporate headquarters of Lee Mechanical. Doe Run is participating in the U.S. EPA-driven remediation of lead contaminated soil in residential yards in St. Francois County. Work is being completed by various parties following the EPA process. The contractor will schedule a time to meet with impacted residents to review the affected areas of the yard, answer any questions, review a checklist of steps/activities and address any concerns. The contractor will ask the owner to sign the checklist and give them final permission to start the work. Once utilities are located at the site, cleanup can begin within a few weeks, weather permitting. The cleanup generally includes excavating up to one foot of soil from the areas that qualify for cleanup. If the property remains above the action level at one foot of depth, additional soil will be removed until lead concentrations are below the action level or down to 2 feet of depth, whichever comes first. The contractor will then replace these areas with clean soil, return the grade to the original contours, and restore the lawn. Note: Residents are responsible for watering their lawns. This is the only expense they will bear. 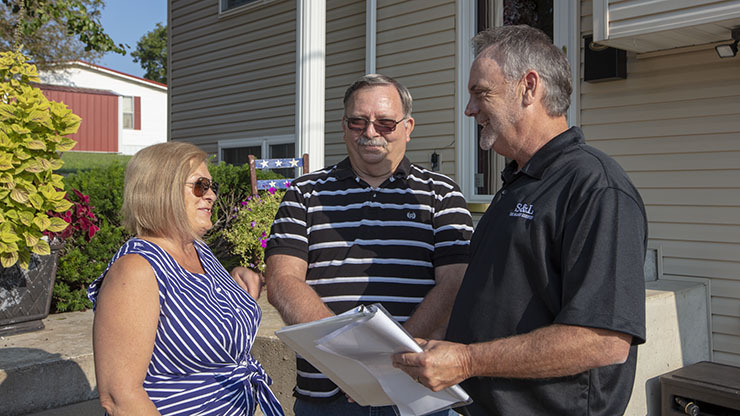 Once the restoration work is complete and the yard is established, the contractor will request a final meeting to review and sign a final checklist. Although there are no longer active mining operations in the Old Lead Belt, mining and Doe Run are part of the region’s fabric. That’s why we continue to look for ways to give back to the community, focusing our investments on education opportunities. Doe Run donated $10,000 in 2017 to the Valley R-VI school district for its Project Lead the Way program. The four-year STEM curriculum focuses on project-based learning and prepares students to solve real-world problems in a collaborative environment. Since 2005, Doe Run and Missouri Department of Natural Resources have co-hosted Fall Rocks, a family-friendly minerals education event at the Missouri Mines State Historic Site museum in Park Hills. Doe Run proudly sponsors the annual Parkland Celtic Festival, in Park Hills. The event features traditional Irish and Scottish Dance, food, music, unique vendors, and a parade celebrating Celtic culture.